Humachine Intelligence Fighting Snow Shoes. Of course, I’m bound to get a lot of spam in my inbox – probably more than most. Decades of giving out my business card left, right and center; our domain included on presentation slides, in publications and catalogs and so on. Then there’s my email address’s simplicity. Sometimes employees’ blown email addresses we ‘leave out in the cold’ as spam honeypots while setting up new, slightly amended email addresses for the employee. But we can’t have that for me now can we? No. Because – first – I need to keep track of precisely who the enemy is, and – second – I want to personally be able to monitor the quality of our antispam protection. And I also don’t mind a few extra laughs now and again. Much like entomologists with their butterflies, I file all incoming spam in a separate folder, check out the verdicts, and determine tendencies and false positives, while I forward missed samples to our antispam lab. Curiously, since the beginning of the year the amount of spam has gone through the roof! And after studying its structure and style, it looks like most of it comes from one (1) source! Almost all the messages were in English (with just two in Japanese), and – main thing – 100% of this spam was detected by our products! 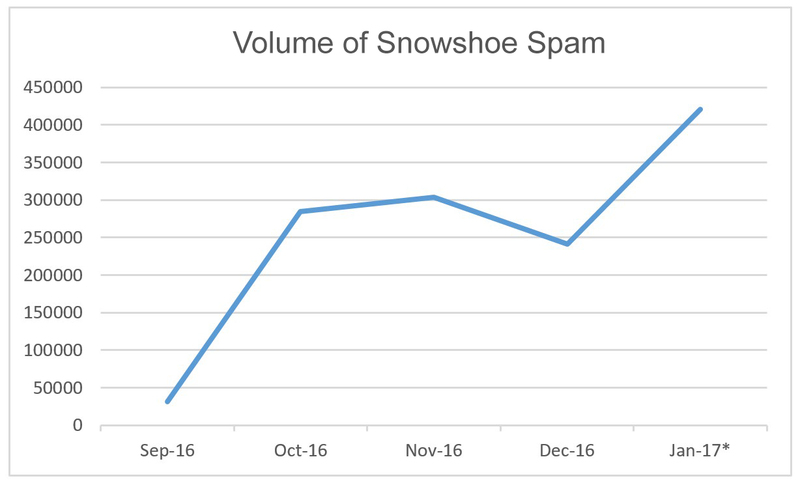 I turned to our specialists… – and it was confirmed: it was a huge tsunami-like wave of a specific type of spam – snowshoe spam. 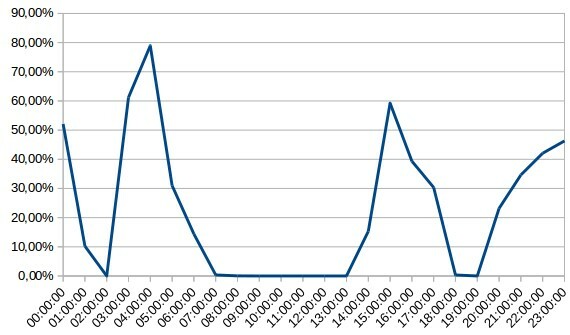 This is unusual as normally around New Year spam activity falls in volume. So just what is this snowshoe when it’s at home, and how can it be protected against? Kaspersky (Server) Anti-Spam: No Longer the Underdog; More Top Dog. There’s an old Russian saying: As you start the New Year – that’s how you’ll spend the rest of it. And this year started rather well for us: First, we were awarded Product of the Year by the Austrian testing lab AV-Comparatives; second, we broke the record on the number of points from Germany’s AV-Test.org; and third, we secured the top grade from Virus Bulletin in the UK. But after that pleasant start to the year things just got better, with the number of medals on our lapel going up and up and up! There were top marks in comparative testing of our proactive protection by Matousec; we were No. 1 in testing of our Application Control function by West Coast Labs; and we also secured excellent results in testing of our mobile security product (pdf) by PCSL. But we didn’t stop at serial-wins with our personal products; we also tore up the competition with our corporate ones; for example, in the August round of testing by AV-Test.org both KIS and KES were awarded 17 and 16 points, respectively – both higher than all the other competing solutions. So, as you can see, in the first eight months of 2012 we’ve had rather a lot of good news. But never enough good news for me to forget to praise our ever faithful and pioneering AV lab (which praise I think it appreciates – so expect more victorious bulletins from the malware front soon!). On this backdrop of positivity and optimism, the more deeper-delving observer might remark, “ok, your antivirus technologies come top-of-the-class across-the-board, but what about your NON-antivirus technologies – the important whistles and bells that add to a solution’s completeness and thus overall usefulness – like for example anti-spam?” All-righty: that’s what I’ll address in this post. Wham, Spam, Thank You Ma’am: The Quick Rise and Fall of Image Spam. // It’ll be interesting to see if this post with the above pic in it will get through the anti-spam filters of those who subscribe to my mail-outs. So here we are once again on a subject that it seems will never go away – spam, this time about a particular kind thereof – “image spam” – and the protective technologies that fight it. I’ll start with a brief bit of historical background. 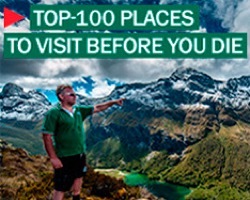 Features You’d Normally Never Hear About – Part Four. Once again, the subject is spam. Depending on the “stars” and the time of year, the proportion of spam can range from anywhere between 70 and 90% of all email traffic. Sounds like a lot, eh? But when you take all Internet traffic into consideration, it’s not actually that much – email traffic accounts for around just 1%. On the other hand, you can’t just forget about spam. Here is a bit more about spam’s role in the cybercrime ecosystem. Combating this particular evil is part of the massive war we are waging on cybercriminals. It’s no exaggeration to say that if we fail on this front, the rest of our efforts will amount to nothing. In other words, we love anti-spam technologies and promote them as much as possible. There is, however, a subtle difference from anti-malware technologies. More precisely, there are different criteria for evaluating the quality of protection for anti-spam and anti-malware technologies. For malware it’s fairly easy: the higher the detection level, the better. For spam it’s more important to have no false positives. This is quite reasonable: it’s much better for the user to take a couple of seconds to delete a spam message that sneaks through the filter than miss important business correspondence. So, protection against spam is, in a way, a more complicated task, literally trying to kill two birds with one stone. In this difficult task, cloud technologies are a great help. As I wrote earlier, we’ve been using cloud technologies for a while, and with considerable success. But one interesting detail has amazingly been overlooked, and unfairly so. In the cloud-based Kaspersky Security Network (KSN), (video, details) there’s a rather impressive anti-spam cloud. It started from the Urgent Detection System (UDS). The link to similar anti-malware technology is no coincidence: both are based on similar principles. This is how the traditional anti-spam technology works. Let’s say an email arrives at a computer. It is immediately assailed by various anti-spam technologies, both local and cloud-based, which test the message and give verdicts. Based on these, the system decides whether this message lives or dies. And this is what happens in the UDS. The system takes a micro-signature from the email message and sends it to the cloud to check it against a dedicated spam database. Earlier we used 16-byte hashes; in 2011 we started the UDS2 (UDS 2nd generation) procedure involving 4-byte fuzzy hashes, which are more effective against obfuscated texts and are therefore better at filtering out spam. Importantly, these hashes do not create extra work for the analyst, since the system creates them automatically based on collected spam samples. Filtering out spam may not seem such a big deal – after all, even a kid knows the difference between a Viagra advert and a normal message! In the security world things are much more complicated as we have to create something akin to artificial intelligence that is capable of doing the job automatically, on the fly. 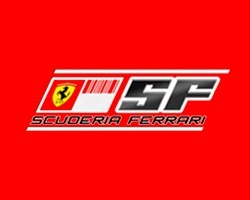 That’s no easy task and entails all sorts of demands in terms of efficiency, reliability, compatibility and so on. And you no doubt know where things stand with AI – there are plenty who claim to have got it figured, but there’s nothing really to show for it (or if there is, they’re doing a good job of keeping it a secret). Anti-spam security is no easier a task than anti-malware protection. And may even be more difficult (or maybe I just understand more about viruses…). The spam industry is a multi-billion dollar business and tens of thousands of skilled bloodsuckers are behind the huge variety of junk that is sent out. And these parasites show great ingenuity when it comes to linguistics and other stuff to make spam reach your inbox. On the face of it, a spammer’s work looks fairly easy – write a spam message, test it against several of the most popular anti-spam filters and spawn via a botnet. But few customers realize that a spam message’s lifecycle is just half an hour to an hour long. 90% of a mass mailing will never reach its intended recipients – spam filters, activated with an update or triggered by statistics, will intercept it. And it’s that black box – the thing that withstands the worst things that email traffic throws at it and keeps your inbox clean – that I want to discuss here. First of all, a bit of background. Since 2002 our anti-spam solution (KAS) has got through four generations of engine and we’re now developing a fifth. A single blog post would hardly suffice to recount everything. Basically, KAS has acquired lots of bits and bobs over the last 10 years. It boasts over 10 methods of spam analysis alone. That’s why I’ll start with our new ‘Möbius‘ technology – just in time for its debut in the latest version of KAS for Exchange Server. A Nasty Little Thing Called Spam. So, what do you think happens 250 billion times a day? Well, OK, it’s a rhetorical question, especially if you paid attention to the title. But every day, in total, 250 billion spam e-mails are sent to inboxes all over the world. It sounds like a lot, but let’s be honest, does that number really shock you? Next, try to define what you think of as spam. Most people assume it’s about Viagra, Nigerian letters and other pathetic, lame scams which jam up your inbox and slow down your daily business. But here’s the thing: spam is far more than just unsolicited ads. That Viagra offer is just the tip of the iceberg, while spam as a phenomenon is a crucial part of a huge cybercrime ecosystem. And the apparent “innocence” of spam is the illusion that I will be debunking here. 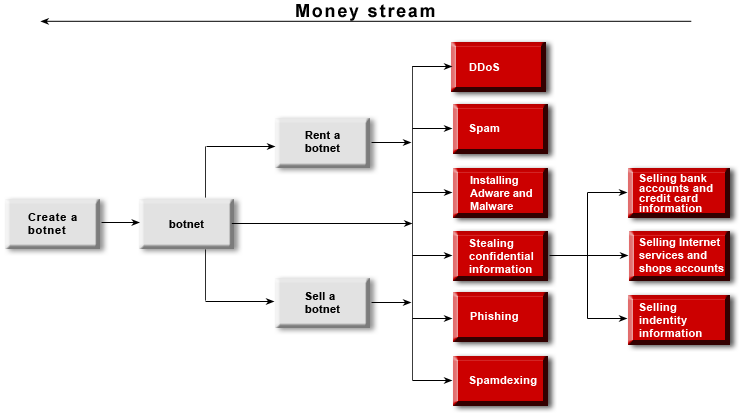 The technical foundations of the cybercrime ecosystem are botnets. These are huge clusters of computers infected with special Trojans (bots) that allow cyber crooks to remotely control these computers without their owners even knowing about it. That’s why experts also call botnets zombie networks – the computers are modified to obey cyber criminals’ commands as if they are zombies. Sometimes botnets can consist of millions of computers. For example, the notorious Kido (Conficker) botnet contained 7 million bots while TDSS had around 4.5 million bots. Read more: So, what is the big deal about spam?